Throw another SAN on the barbie! 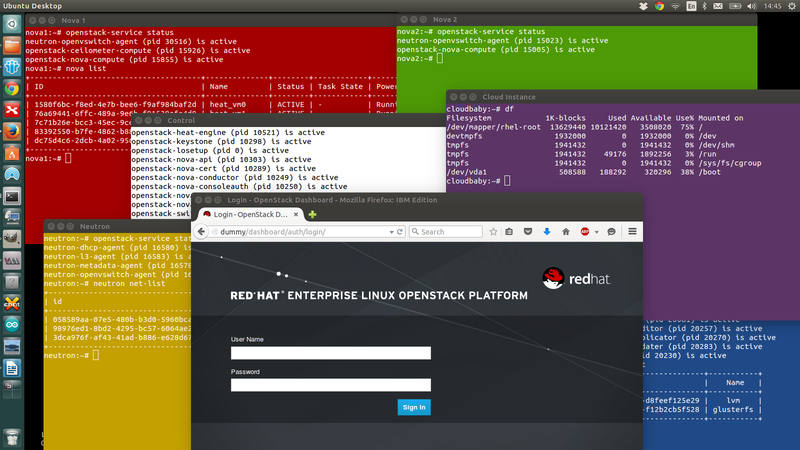 This week I’ve been fortunate enough to attend a four day Red Hat OpenStack Implementation course. I’d recommend this course to anyone interested in developing their skills and familiarity with Red Hat’s OpenStack distribution. I found the course delivery and materials to be excellent, and labs, lots and lots of lab exercises. Manually installing and configuring all the common services; Keystone, Glance, Nova, Neutron, Cinder, Heat, Swift, Ceilometer, Horizon, as well as Gluster, RabbitMQ, and MySQL. Below is a gratuitous screen shot of the completed labs – a small victory that was made hollow by then seeing PackStack automate a similar deployment in about 30 minutes. My thoughts, actions and opinions on storage, servers and training; not necessarily the official views of my employer.